Turning 16 is a pretty big deal. All that freedom on the open road ahead. 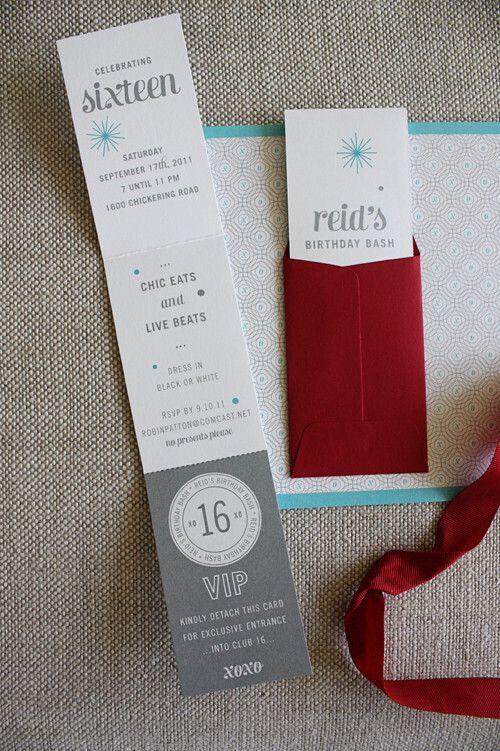 Well, last year we designed a very cool invitation for a birthday boy celebrating the big day. 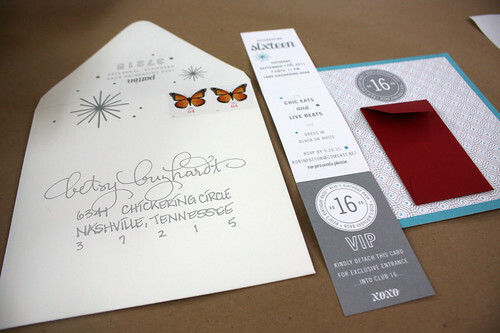 And this year his sister turned sweet sixteen so we had to come up with another design that was just as chic. 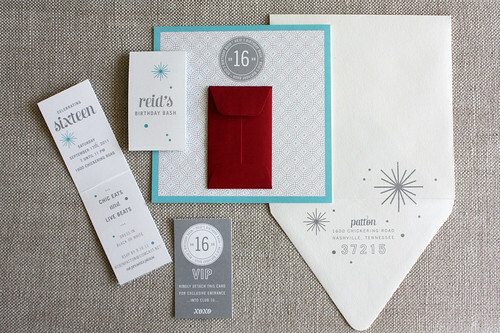 We went with a silver + blue palette, with a punch of red. 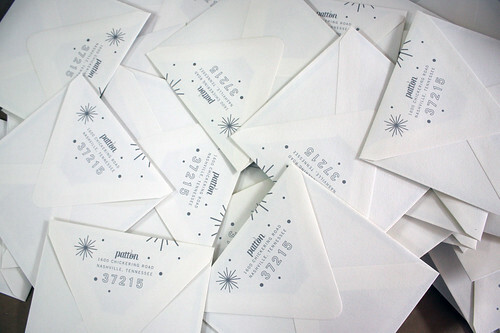 Our idea was for guests to open the envelope, revealing a baby envelope inside, and then pull out the tiny fold out invitation inside. 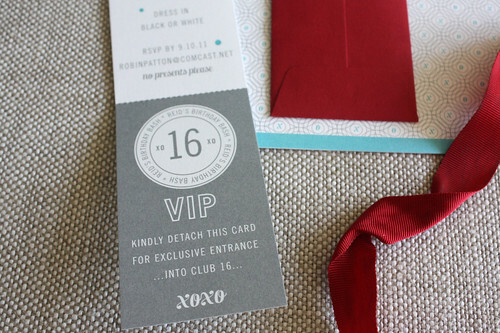 Each piece revealing a detail of the party with the last being a "ticket" guests had to tear off for entrance into the club. 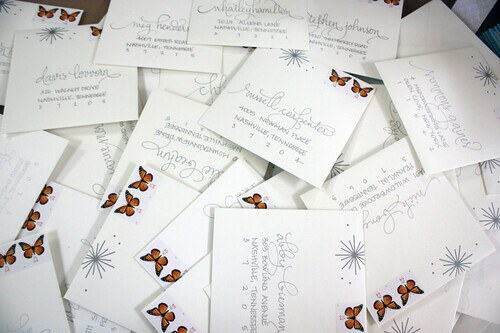 And the calligraphy? Ridiculously good. We were happy with the whole shebang and hope all the partygoers live it up that evening! 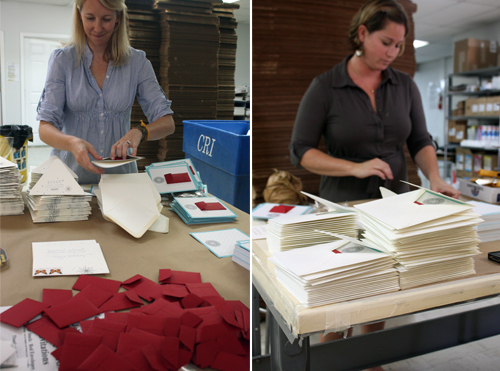 don't mind us… just stuffing, gluing, and stamping away here at our work station thank ya!